Can I get a direct exclusive vehicle to drop us to Dzongu from Bagdogra? If so any idea about the charges? Any idea about sight seeing charges @ Dzongu? Do we get vegetarian food @ home stay in Dzongu? From senior citizen point of view are there any kind of hike/trek(more exertion), one need to do to reach upper Dzongu (tingvong)? A. Bagdogra to Dzongu Car charges would be around 7000/8000 (One way). Subscribing, I planned for this too. However, till now I haven't had the time to visit. But will do soon! Thanks for getting back on my queries, Arupratan. I had a word with one of the home stay owner @Dzongu and the quotation I got for pick up from Bagdogra to Dzongu was around 6000 to 7000 INR, which is inline with what you said. Considering its one way charge seems to look costly. Will try to check this with other travel agents. I asked him about reaching his place in upper Dzongu and he didn't tell me anything about cross the river walking. Will again check with him on this front as I would be traveling to Dzongu with senior citizens so need to take extra precaution about such things. Any idea how much do they charge for sight seeing in Dzongu by car. Any contacts of travel agent in Dzongu would be helpful. I guess it's better to directly contact homestay owners for Dzongu part. Travel agents may quote higher rates. And yes, Rs 7000 for one way is definitely costly. But that's the rate for Dzongu. It's a remote area & far away from Bagdogra. With Sr Citizens it may be a hectic journey considering the road condition of North Sikkim in general. It would be a 7/8 Hr long journey by car. Please consider these factors also while preparing the final itinerary. There are options for shared jeeps too . But that would not be suitable for your team, I guess . Alternatively you may reach Gangtok from Bagdogra on Day 1 ( 4 / 4.5 Hrs) & then proceed to Dzongu next morning. Car charge for sightseeing in Dzongu area should not be more than 3K/3.5K per day. Thanks for the suggestion Arupratan. I have started reaching to home owners and will check with them about pickup charges and sight seeing in Dzongu. Wrt direct journey from Bagdogra to Dzongu, yes it's but long journey and I may plan to take 2-3 small breaks within my journey. Going to GK, just for over night stay would waste my two days in traveling, rather I would prefer(after checking with elders) to travel more single day and take rest next day. Will post my final Itinerary here over the weekend for further suggestions frim you experts. WRT traveling, I am also checking with a few cab providers and will update you once I get a proper quotation. 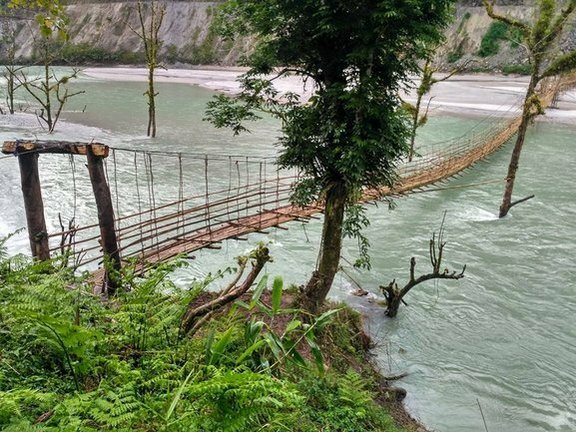 After the 2016 landslide, several villages went down the teesta and formed a 20 feet deep lake. The upper dzongu was cut off from the lower one such as passingdong and we had to raft the river to reach tingvong. I had visited once in 2001 and the places nearby like helipad and many unnamed lakes were accessible, now most of them are cut off and you need to take a long circuitous route. And homestays charge exorbitantly for these trips. I stayed for 5 days there in 2001 and every day was filled with travel, but i am skeptical if the same can be done now. If any IMers have made it to the several lakes and scenes around dzongu and economically at that, kindly let me know. Regarding a direct route from NJP, not an issue, no need to go to gangtok. Just below Ranipul you have will have a diverseion which goes to dikshu, from there on it is rang rang, lower dzongu, dzongu check post, and finally you are in. It might take you 7 hours. But I would suggest you hire a car at 3500 per day, you might need it to explore the place also just google for dzongu map. If the driver needs to come back after a drop to dzongu, the charges will be as mentioned 8 k, he will charge you for the return as well. Else just go to singtam, you get lots of shared jeeps from siliguri, from there to mangan, from there to dzongu. 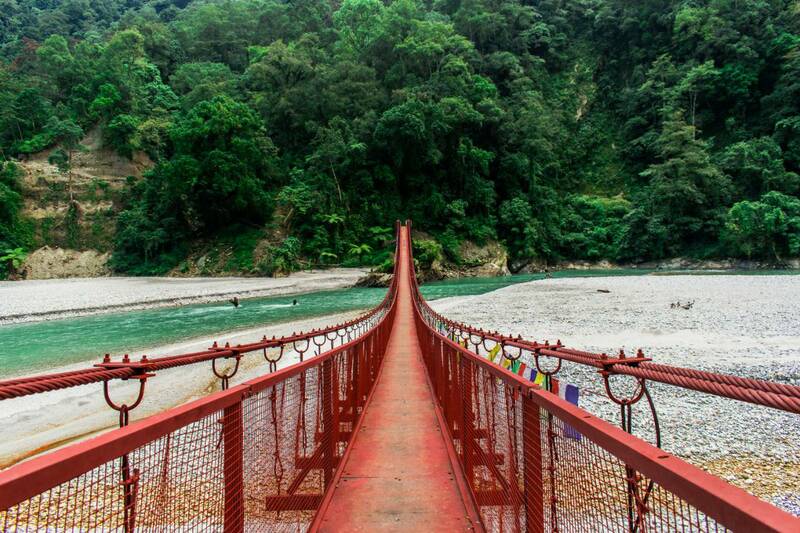 But you will be dropped at the bamboo bridge to reach upper dzongu. I visited Dzongu in November 2018 , i stayed with karma sonam' Rumlyang Home stay, Tingvong , he charged 1k per head..we stayed for 2 nights..he was an excellent host , i visited with my wife . I spent 2 nights there, the sky was mostly cloudy but did enjoy lot of birds, homegrown organic vegetable, honey, Chang etc . We also went on a short trek to the village monastery, magical place. The place was run by the sonam and his younger brother , while his wife was in Mangan. Highly recommend the place..you can check there FB page. Now they have a steel bridge.. Thanks Himadri for the update. I would suggest you hire a car at 3500 per day, you might need it to explore the place also just google for dzongu map. Thanks for your suggestion Osirisis. Not sure if I would be able to get a car for 3500 per day for Bagdogra pickup. We are around 9 people so would need 2 cars. Some of them are senior citizens, so shared cab is not an option for us. Does any Imer has contacts details of car driver in Dzongu who can arrange our pickup from Bagdogra and also some sight seeing in Dzongu? But he was pretty unpleasant, perhaps he might be ok with you. Also Hazra amit's post on dzongu. But remember lepchas try to save money by skipping on their lunch. They just have breakfast and dinner and will expect you to do the same. Just insist on a lunch and snacks etc. Avoid dupden, it is more of a hype. He charges 700 for a trip from the dzongu bridge (the one above) to his home which is hardly 7 minutes. Also though the altitude is low at tingvong, I am not sure if it is due to the presence of pandim, we all had shortness of breath and disorientation. Surprisingly i never had it gnathang valley. the daily sight seeing rate is 3.5 k, but dzongu is a small place and most places are about 1 hour from your homestay wherever you are put up. So you need to rethink whether to pay such an amount. For at the end of the day you will feel like you have been taken for a ride, and your driver will not mention it to you. I did it in 2013 and to help me out my host choden lepcha asked the driver to take me to lachen from dzongue which is 7 hours to and fro and to very far off places. The driver did so grudgingly. The first day from NJP to dzongu is worth 3.5 k. No others is worth so. Most other places in dzongu are trekking places. Just google the dzongu map and discuss it with your host. also a word on food. Sikkim is seriously organic of late. Hence the veggies are sky high and very limited. You might feel you are starving. The only stuff you get is homegrown and mostly it is squash, tomatoes and potatoes. Carry lots of fruits with you. When you come from mangan just tell your host to purchase veggies. Thanks a ton Osirisis,Sindabad and fellow IMers for resolving my queries along with plenty of other important information. I started calling homestay owners and checking with them about basis facilities and pickup options. I also contacted a cab service in Gangtok to get fair idea about traveling charges and will post it along with my sample itinerary on main forum of North Sikkim, rather than this specific to Dzongu. Has anyone stayed at Zigmee Lepcha's place(Royal Dzongu homestay)? It's in Tingvong, just above Karma Lepcha's place (Rumlyang home stay). Any first hand experience about this would really help me to finalize one of them. I am traveling with 3 Senior citizens, so wanted to know about rooms and elevation of his home road.